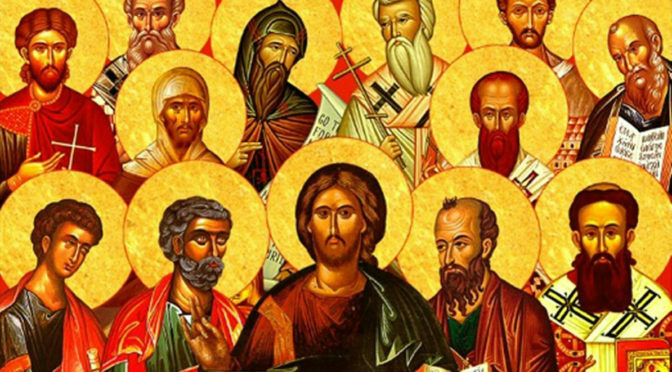 Church Fathers are the ancient writers, sometimes bishops, sometimes saints, who defended the orthodox catholic church during the first several centuries. 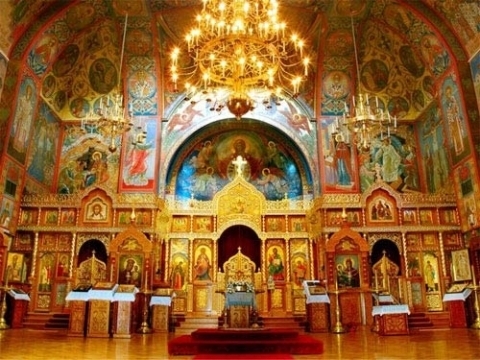 I became interested in the early Fathers as I began to realize the great role they have in teaching the faith, especially in the Eastern Orthodox Christianity, and the implicit role they have in destroying it, according to Mormon thinking. The age of the early Fathers begins as the first students of the Apostles wrote, and ended with the dawn of two new civilizations: Medieval Europe and Islam. During this era core, teachings of the Church — such as how many persons of Christ are there (one), how many substances Christ has (two, true man and true God), and how many persons are Christ (one, there’s only one Jesus Christ, Son of God) — were written down. 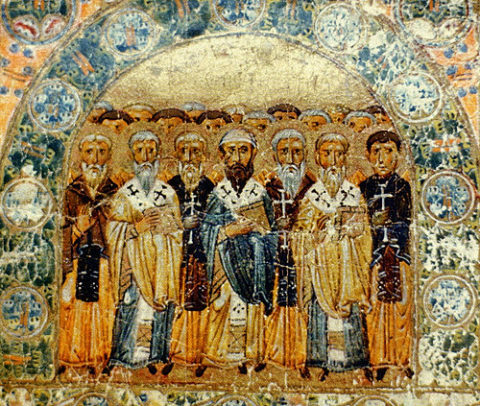 This era includes fathers who lived before, during, and after the First Council of Nicaea, whose words became binding on all Catholics after the council. — they are condemned by the holy catholic and apostolic Church. When the Church was Young traces the development of Nicene Christianity from the immediate post-apostolic era to just before the rise of Islam. 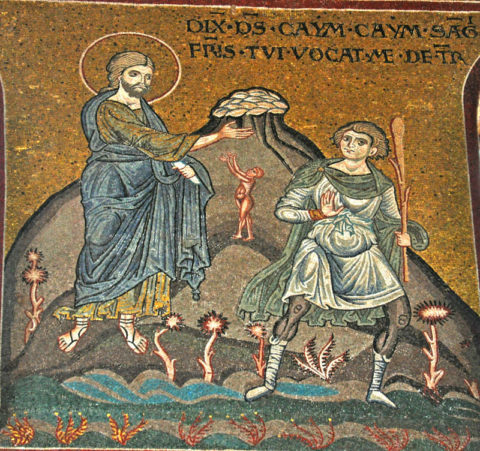 The oldest of the Church Fathers are those who knew and learned from the apostles For instance, Ignatius of Antioch and Polycarp may have actually known the Apostle John. 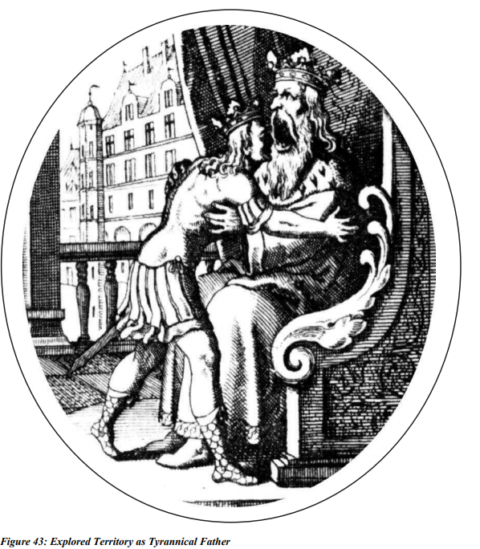 Gregory the Great, one of the very last Fathers in this book, overlaps with the Middle Ages. Indeed, his papacy is the close of the Patristic period and at the opening of *Medieval Christianity: A New History. When the Church was Young reads like a quicker prequel to Medieval Christianity, like Ball Lightning is a breezy prequel to The Three Body Problem. The major points of development are presented, and the time around the Arian Heresy in particular is very well reported. I learned a lot from this book. I was pleased at the presentation of two Church Fathers, Augustine of Hippo of John Chrysostom. I have read Augustine’s Confessions and Chrysostom’s mis-named Against the Jews, and the description of these Fathers matches my understanding of what I read. Likewise, the short descriptions of The Protoevangelium of James and The Shepherd of Hermas do not contradict what I read. That said, while this is an introductory history of the early Church through the Fathers, it is not a neutral history. In Christian theology, people who propound beliefs that are later called heretical are not themselves heretics, as they did not have the advantage of the Church’s teaching when writing their ideas. 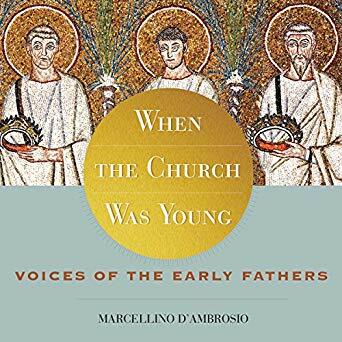 D’Ambrosio, whose interest is in teaching correct Christian beliefs, does not spend much time on heretical or abandoned beliefs of the early Church Fathers. This leads to an accurate if biased depiction of the early Church. This is particularly obvious in the section on Origin, who is repeatedly defended against accusations of heresy without ever which of his beliefs were identified as heretical. 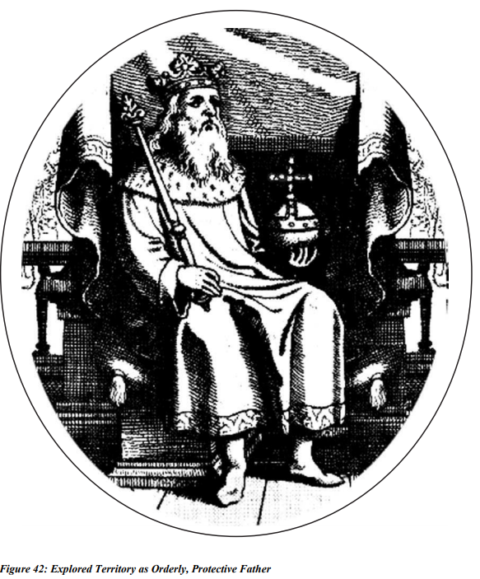 In How God Became King, Anglican Bishop N.T. Wright criticized the out-sized importance the Nicene Creed, and its derivatives, have in Christianity. The Nicene Creed was written to refute Arius, and insist that Christ was God, not a creature. The fathers were successful in this. Christological precision is important, but not more important than the person of Christ, His kingdom, or His teachings. Indeed, while I find the Mormon rejection of the Nicene Creed (on the complaint the concept “substance” is not found in the Bible) hypocritical, as Mormonism itself imports Greek philosophy into its cosmological system, Mormons are certainly right that the focus on the Greco-Roman interpretation of the Scriptures, instead of the Hebrew con-text of the written Word, has clouded much of our understanding. Marcellino D’Ambrosio does not seem to realize this. Worse, the hygienic purity of terms in Greco-Roman philosophy can lead to a lack of awareness of the “unseen realm,” and the world of flesh, demons, and supernatural entities which inhabit the cosmos. I was disturbed to learn of the early church practice that the Sacrament of Reconciliation could be obtained only once or twice a lifetime. Something like this is referenced in Shepherd of Hermas, but I did not realize Shepherd was either reporting a literal procedure, or itself had been taken literally, later on. In my current state I participate in this sacrament bi-weekly, and if anything this does not seem enough. I do not think I would have done well with the early Christians, who seem to live lifestyles of the religious orders in particular, except as someone like the church father Ambrosia of Milan who was not baptized until just before he was named a bishop. I enjoyed reading When the Church was Young. I have a better grasp of the life of the early Church, controversies which shaped the terms and phrases used and the learning about the ecclesiastical transition into the Middle Ages. I wish the narrative had contained more depth on what the Fathers actually believed, and I would have enjoyed learning about John of Damascus, who commented on the Qur’an, and viewed it as a form of Arianism. I read When the Church was Young in the Audible edition. The author has a brief summary of the Church Fathers available online. I was impressed by Jordan Peter’s 12 Rules for Life and before that, his series Introduction to the Idea of God. I knew that Peterson considered his earlier work, Maps of Meaning, the best summary of his beliefs, and that both 12 Rules and Introduction were specific applications of it. I waited until it was available on unabridged audio, narrated by the author, and read the book in that manner. 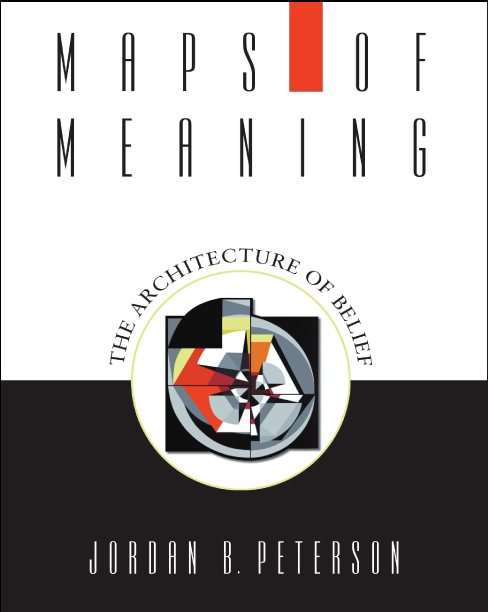 This post covers the material in Maps of Meaning in roughly the same order as the book does. First, I describe the psychological foundations Peterson presents for his theory, and how it ties into mythic stories. 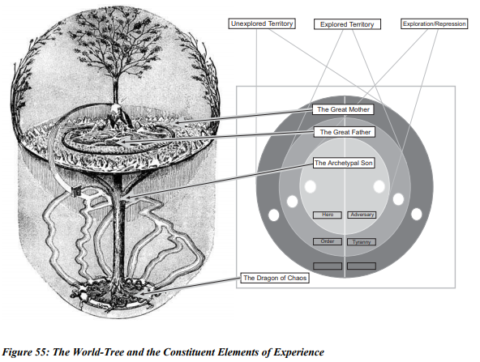 Maps of Meaning is composed roughly in fourths, starting with a foundation in cognitive psychology, then mythic stories, then Christianity in general, and finally alchemy. Next, I give a history of the allegorical approach of Biblical exegesis, comparing Peterson with St Augustine. 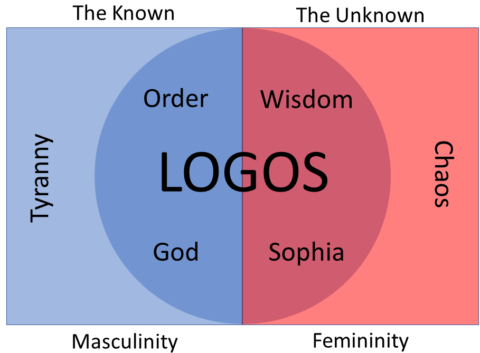 Following this, I highlight the two most important aspects of Jesus Christ for Jordan Peterson, as Redeemer and Logos. I then describe two paths taken by Peterson for applying Christianity in everyday life: the path mentioned in this book (alchemy) and one he seems to have adopted later on (a focus on the Holy Spirit). Peterson begins with a discussion of neuropsychology and cognitive psychology, emphasizing the biological foundations of thought. This is important because of Peterson basis his entire theory on the existence of a mental modular shared by not just humans but most animals: unknown-detection. Peterson argues that the the psychological process of habituation is not a simply a consequence of learning that a stimulus is neither harmful nor beneficial in the moment — rather, it is the primary result of a stimulus ceasing to be unknown and becoming known. Peterson inverts B.F. Skinner’s defense of behaviorism, noting that while establishing the full history of reinforcement schedules can be incredibly difficult, it is now easier to measure brain activity and detect the existence of mental maps of the known and unknown. Carl Jung is heavily featured in Maps of Meaning. I had always considered the most controversial part of Jung’s psychology to be his theory of the "collective unconsciousness." Peterson cleverly (and I think fairly) rehabilitates Jung by arguing he worked before the modern understanding of cognitive psychology. Peterson explicitly states that the "collective unconscious" is a term for "episodic memory," a well-accepted theory of how narrative memory is formed. Specifically, because the human mind encodes events into its salient pieces, and the salience of those pieces has a biological foundation, the collective unconscious is simply those pieces which have been universally encoded by appropriately developed humans. Thus, the collective unconscious is part of our species cognitive extended phenotype. If known and unknown are basic categories, in the way that pleasurable/hurtful and hot/cold are, then it makes sense that known and unknown act as characters in mythic literature. Peterson argues ‘known’ as a category is conceptually gendered as male or an old king, and ‘unknown’ as female or a monster, given the capacity of the known to inflict vertical rules and the capacity of the unknown to generate new things into being. 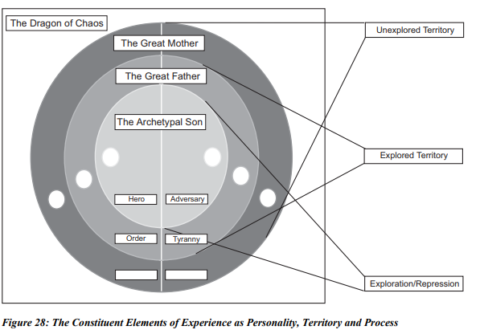 Hence Peterson argues that stories involving a Great Father or Great Mother are in fact stories of the known and unknown. Stories from Egypt, pre-modern Europe, and elsewhere are shown to be general instances of this pattern. Peterson argues that one can deconstruct widely and deeply shared stories to understand the psychological constructs that generated them. That the stories, the structures, the archetypes, and their lessons are not merely a tax on human cognition but the method that it has operated in the social-political-moral for an extremely long period of time. 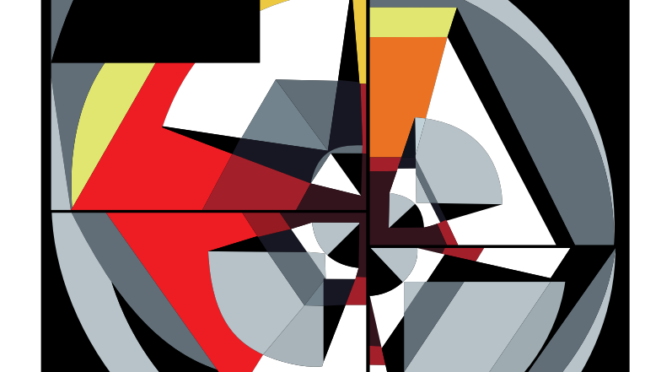 It is after all of this — the psychological foundations of memory, the comparative religion or mythology — that Peterson begins his most controversial and most ambiguous point. Peterson then provides an extended allegorical apologia for Christianity. Behold, Thou hast given unto us for food every herb bearing seed which is upon all the earth; and every tree, in which is the fruit of a tree yielding seed. And not to us alone, but also to all the fowls of the air, and to the beasts of the earth, and to all creeping things; but unto the fishes and to the great whales, hast Thou not given them. Now we said that by these fruits of the earth were signified, and figured in an allegory, the works of mercy which are provided for the necessities of this life out of the fruitful earth. Augustine is a forerunner to Peterson’s approach. The ending of Confessions is almost incomprehensible, as it is an extended description of the Christian religion and then a treatise on the Roman science of psychology. This did not make sense to me until I read Peterson and watched his series Introduction to the Idea of God, which combines contemporary psychological and the Christian religion. The earth was without form, and void; and darkness [a]was on the face of the deep. And the Spirit of God was hovering over the face of the waters. we are to understand no other matter, but that which God made, whereof is written above, God made heaven and earth." Light and darkness constitute mythic totality; order and chaos, in paradoxical union, provide primordial elements of the entire experiential universe. Light is illumination, inspiration; darkness, ignorance and degeneration. Light is the newly risen sun, the eternal victor of the endless cyclical battle with the serpent of the night; is the savior, the mythic hero, the deliverer of humanity. Light is gold, the king of metals, pure, and incorruptible, a symbol for civilized value itself. Light is Apollo, the sun-king, god of enlightenment, clarity and focus; spirit, opposed to black matter; bright masculinity, opposed to the dark and unconscious feminine. 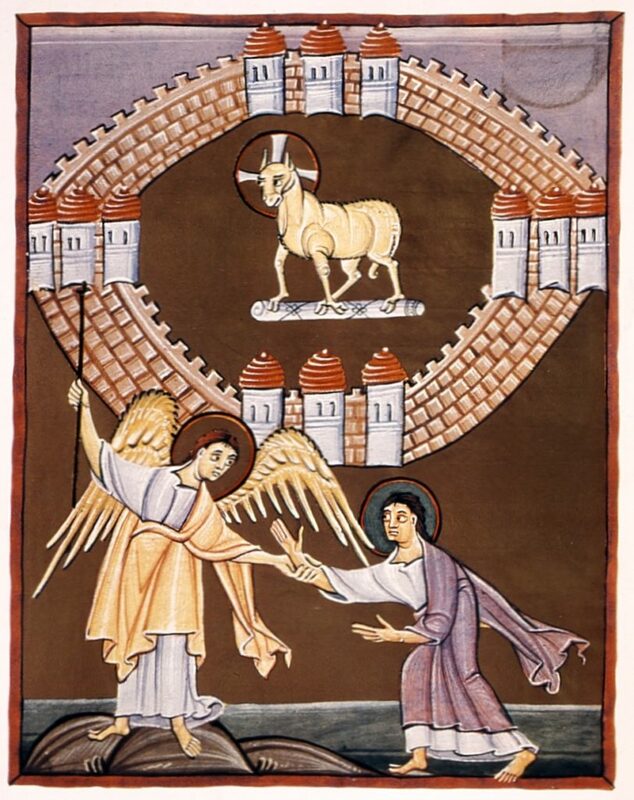 Light is Marduk, the Babylonian hero, god of the morning and spring day, who struggles against Tiamat, monstrous goddess of death and the night; is Horus, who fights against evil, and redeems the father; is Christ, who transcends the past, and extends to all individuals identity with the divine Logos. To exist in the light means to be born, to live, to be redeemed, while to depart from the light means to choose the path of evil — to choose spiritual death — or to perish bodily altogether. In what manner was Christ redeemed by the Father? Christ’s genealogy explicit includes our Father-in-Faith, Abraham, as well as the biological father of the human race, Adam, and the father of all surviving humans, Noah. Now Jesus Himself began His ministry at about thirty years of age, being (as was supposed) the son of Joseph, the son of Heli, … the son of Cainan, the son of Arphaxad, the son of Shem, the son of Noah, the son of Lamech, the son of Methuselah, the son of Enoch, the son of Jared, the son of Mahalalel, the son of Cainan, the son of Enosh, the son of Seth, the son of Adam, the son of God. The first man was of the earth, made of dust; the second Man is the Lord from heaven. As was the man of dust, so also are those who are made of dust; and as is the heavenly Man, so also are those who are heavenly. And as we have borne the image of the man of dust, we shall also bear the image of the heavenly Man. And He, bearing His cross, went out to a place called the Place of a Skull, which is called in Hebrew, Golgotha, where they crucified Him, and two others with Him, one on either side, and Jesus in the center.,. … and now is our Father. Not that God the Father is missing anything, or lacks anything. But Christ restores our relationship with God the Father, getting us back to a place where God the Father can be called our Father. 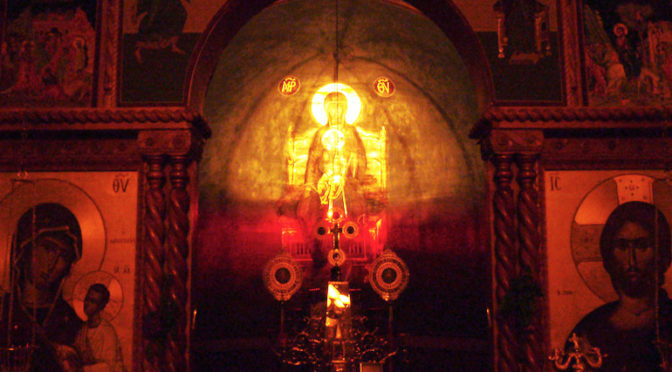 In the Roman liturgy, the Eucharistic assembly is invited to pray to our heavenly Father with filial boldness; the Eastern liturgies develop and use similar expressions: "dare in all confidence," "make us worthy of. . . . " From the burning bush Moses heard a voice saying to him, "Do not come near; put off your shoes from your feet, for the place on which you are standing is holy ground." 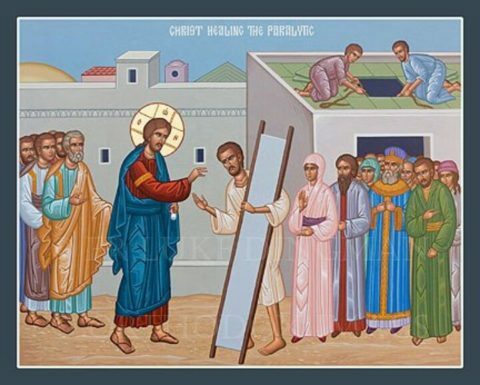 Only Jesus could cross that threshold of the divine holiness, for "when he had made purification for sins," he brought us into the Father’s presence: "Here am I, and the children God has given me." Our awareness of our status as slaves would make us sink into the ground and our earthly condition would dissolve into dust, if the authority of our Father himself and the Spirit of his Son had not impelled us to this cry . . . ‘Abba, Father!’ . . . When would a mortal dare call God ‘Father,’ if man’s innermost being were not animated by power from on high?" In the Judeo-Christian tradition, it is the Logos — the word of God — that creates order from chaos — and it is in the image of the Logos that man ["Let us make man in our image, after our likeness" (Genesis 1:26)] is created. This idea has clear additional precedents in early and late Egyptian cosmology (as we shall see). In the Far East — similarly — the cosmos is imagined as composed of the interplay between yang and yin, chaos and order — that is to say, unknown or unexplored territory, and known or explored territory. Tao, from the Eastern perspective, is the pattern of behavior that mediates between them (analogous to En-lil, Marduk, and the Logos) — that constantly generates, and regenerates, the "universe." For the Eastern man, life in Tao is the highest good, the "way" and "meaning"; the goal towards which all other goals must remain subordinate. 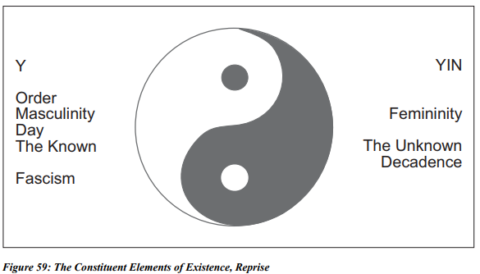 Peterson emphasizes this point, emphasizing the use of The Way to identify both the Logos and the Tao. All things outside the Logos are harmful. Order inside the Logos is the protective ruler, while Order outside the Logos is the tyrannical father. 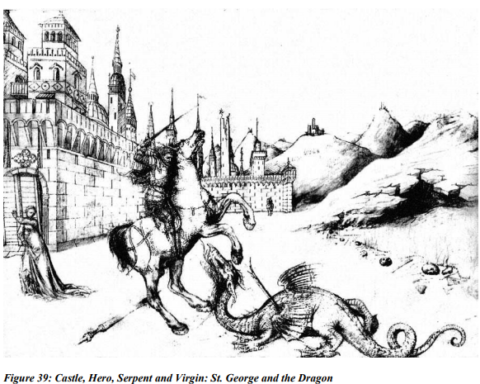 Likewise, Chaos outside the Logos is the Dragon, while Chaos inside the Logos is the virgin. The hero is a pattern of action, designed to make sense of the unknown; he emerges, necessarily, wherever human beings are successful. Adherence to this central pattern insures that respect for the process of exploration (and the necessary reconfiguration of belief, attendant upon that process) always remains superordinate to all other considerations — including that of the maintenance of stable belief. This is why Christ, the defining hero of the Western ethical tradition, is able to say "I am the way, the truth, and the life: no man cometh unto the Father, but by me" (John 14:6); why adherence to the Eastern way (Tao) — extant on the border between chaos (yin) and order (yang) — ensures that the "cosmos" will continue to endure. "But if, while we seek to be justified by Christ, we ourselves also are found sinners, is Christ therefore a minister of sin? Certainly not! For if I build again those things which I destroyed, I make myself a transgressor. For I through the law died to the law that I might live to God. I have been crucified with Christ; it is no longer I who live, but Christ lives in me; and the life which I now live in the flesh I live by faith in the Son of God, who loved me and gave Himself for me. I do not set aside the grace of God; for if righteousness comes through the law, then Christ died in vain. The alchemist viewed himself as midwife to Nature — as bringing to fruition what Nature endeavored slowly to produce — and therefore as aid to a transformation aimed at producing something ideal. "Gold" is that ideal. The alchemical procedure was based on the attempt to redeem "matter," to transform it into an ideal. This procedure operated on the assumption that matter was originally corrupted — like man, in the story of Genesis. The study of the transformations of corruption and limitation activated a mythological sequence in the mind of the alchemist. This sequence followed the pattern of the way, upon which all religions have developed. Formal Christianity adopted the position that the sacrifice of Christ brought history to a close, and that "belief" in that sacrifice guaranteed redemption. Alchemy rejected that position, in its pursuit of what remained unknown. Grace is first and foremost the gift of the Spirit who justifies and sanctifies us. But grace also includes the gifts that the Spirit grants us to associate us with his work, to enable us to collaborate in the salvation of others and in the growth of the Body of Christ, the Church. There are sacramental graces, gifts proper to the different sacraments. There are furthermore special graces, also called charisms after the Greek term used by St. Paul and meaning "favor," "gratuitous gift," "benefit." Whatever their character – sometimes it is extraordinary, such as the gift of miracles or of tongues – charisms are oriented toward sanctifying grace and are intended for the common good of the Church. They are at the service of charity which builds up the Church. Many clerics were alchemists. To Albertus Magnus, a prominent Dominican and Bishop of Ratisbon, is attributed the work "De Alchimia", though this is of doubtful authenticity. Several treatises on alchemy are attributed to St. Thomas Aquinas. He investigated theologically the question of whether gold produced by alchemy could be sold as real gold, and decided that it could, if it really possess the properties of gold (Summa Theologiae II-II.77.2). A treatise on the subject is attributed to Pope John XXII, who is also the author of a Bull "Spondent quas non exhibent" (1317) against dishonest alchemists. It cannot be too strongly insisted on that there were many honest alchemists. 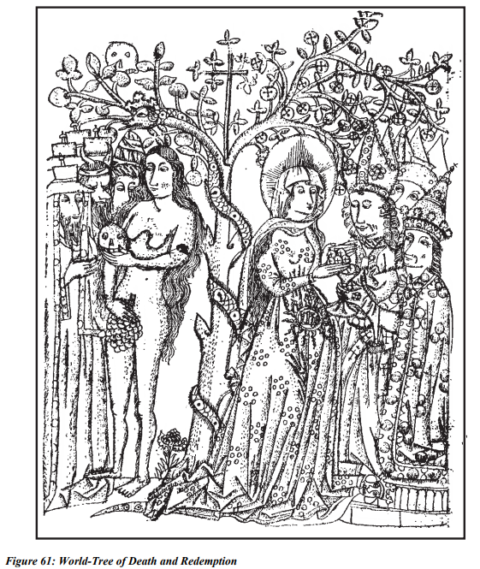 If Peterson was more aware of the Christian tradition when he wrote this work, his concern might have been that the externalizing features of Protestantism (which deny man agency in the ongoing work of salvation) and Catholicism (which seemingly deny man the teaching authority, as that is possessed by the Church) both deny him agency. 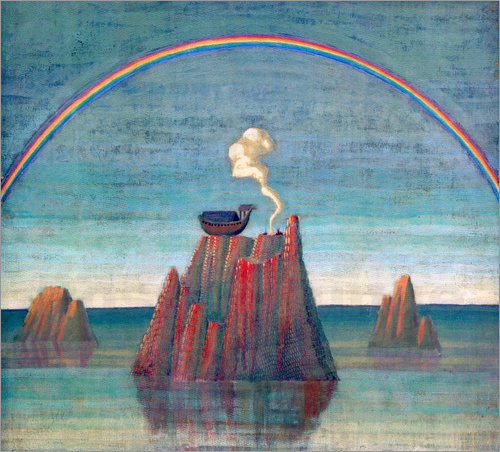 Alchemy was a living myth: the myth of the individual man, as redeemer. Organized Christianity had "sterilized itself," so to speak, by insisting on the worship of something external as the means to salvation. The alchemists (re)discovered the error of this presumption, and came to realize that identification with the redeemer was in fact necessary, not his "worship" — came to realize that that myths of redemption had true power when they were "incorporated," and acted out, rather than "believed," in some abstract sense. This meant: to say that Christ was "the greatest man in history" — a combination of the divine and mortal — was not sufficient "expression of faith." 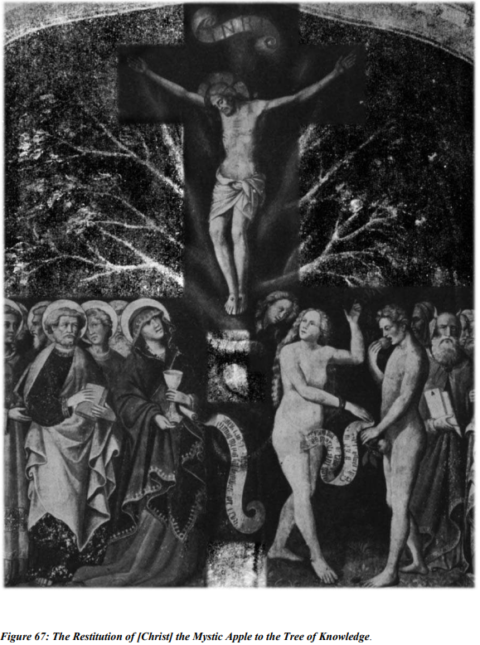 Sufficient expression meant, alternatively, the attempt to live out the myth of the hero within the confines of individual personality — to voluntarily shoulder the cross of existence, to "unite the opposites" within a single breast, and to serve as active conscious mediator between the eternal generative forces of known and unknown. Then Jesus said to His disciples, "If anyone desires to come after Me, let him deny himself, and take up his cross, and follow Me. For whoever desires to save his life will lose it, but whoever loses his life for My sake will find it. For what profit is it to a man if he gains the whole world, and loses his own soul? Or what will a man give in exchange for his soul? For the Son of Man will come in the glory of His Father with His angels, and then He will reward each according to his works. Assuredly, I say to you, there are some standing here who shall not taste death till they see the Son of Man coming in His kingdom. There is no good King without a cross. Paul, immediately before describing living and crucifixion in Christ, talks about the importance of justification by faith in Christ. "Faith" is not an abstract mental idea or an emotional state. It refers to allegiance in Christ, of imitating Christ. We who are Jews by nature, and not sinners of the Gentiles, knowing that a man is not justified by the works of the law but by faith in Jesus Christ, even we have believed in Christ Jesus, that we might be justified by faith in Christ and not by the works of the law; for by the works of the law no flesh shall be justified. Denial of unique individuality turns the wise traditions of the past into the blind ruts of the present. Application of the letter of the law when the spirit of the law is necessary makes a mockery of culture. Following in the footsteps of others seems safe, and requires no thought — but it is useless to follow a well-trodden trail when the terrain itself has changed. The individual who fails to modify his habits and presumptions as a consequence of change is deluding himself — is denying the world — is trying to replace reality itself with his own feeble wish. By pretending things are other than they are, he undermines his own stability, destabilizes his future — transforms the past from shelter to prison. In the years since Maps of Meaning came out, Peterson seems to have talked about alchemy less and the Holy Spirit more. I have much more to say to you, more than you can now bear. But when he, the Spirit of truth, comes, he will guide you into all the truth. He will not speak on his own; he will speak only what he hears, and he will tell you what is yet to come. He will glorify me because it is from me that he will receive what he will make known to you. All that belongs to the Father is mine. That is why I said the Spirit will receive from me what he will make known to you." It is easy to see how such a view, of progressive revelation and a direct experience with the Holy Spirit, complements Peterson’s view of the centrality of the imitation of Christ in the life of every believer. The truth seems painfully simple — so simple that it is a miracle, of sorts, that it can every be forgotten. Love God, with all thy mind, and all thy acts, and all thy heart. This means, serve truth above all else, and treat your fellow man as if he were yourself — not with the pity that undermines his self-respect, and not with the justice that elevates yourself above him — but as a divinity, heavily burdened, who could yet see the light. Christ said, the kingdom of Heaven is spread out upon the earth, but men do not see it. What if it was nothing but our self-deceit, our cowardice, hatred and fear, that pollutes our experience and turns the world into Hell? This is a hypothesis, at least — as good as any other, admirable and capable of generating hope — why can’t we make the experiment, and find out if it is true? John Chrysostom was a Doctor of the Church, Ecumenical Father, and Archbishop of Constantinople during the Roman Empire. His sermons were before the Catholic-Orthodox split, and our revered in most mainline Christian traditions. He addresses multiple simultaneously and clearly is concerned for his flock. His writing affirms core Christian beliefs on salvation, and can help Protestants and Catholics understand each other. But he also has falls. His attempt at a disputation against “Judaizers” is only partially coherent on Judaism, and unlike Augustine he appears not to have spoken to Jews about the meaning of the Old Testament. Jesus died for our sins. We are at fault. And Christians more at fault than others, for we know the cost of sin and do it anyway. Is it not foolish, then, to show such readiness to flee from those who have sinned against a man, but to enter into fellowship with those who have committed outrages against God himself? 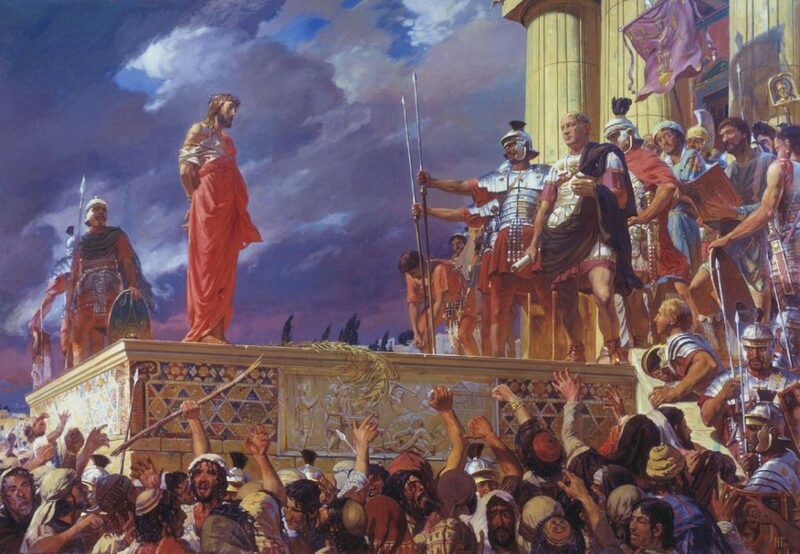 Is it not strange that those who worship the Crucified keep common festivals with those who crucified him? Is it not a sign of folly and the worst madness? Even if this was a truly held theological point, it is no longer a permissible one. The Council of Trent clarified that all sinners share the guilt for the death of Jesus. He died for John Chrysostom’s sins as much as for those of the Jews. Should anyone inquire why the Son of God underwent His most bitter Passion, he will find that besides the guilt inherited from our first parents the principal causes were the vices and crimes which have been perpetrated from the beginning of the world to the present day and those which will be committed to the end of time. In His Passion and death the Son of God, our Savior, intended to atone for and blot out the sins of all ages, to offer for them to his Father a full and abundant satisfaction. This guilt seems more enormous in us than in the Jews, since according to the testimony of the same Apostle: If they had known it, they would never have crucified the Lord of glory; while we, on the contrary, professing to know Him, yet denying Him by our actions, seem in some sort to lay violent hands on him. But even if Chrysostom was gravely wrong about the guilt of the Jews, his target was not actually people who we would call Jews! Chrysostom is completely correct here. No branch of Judaism practices animal sacrifices outside of Jerusalem. Indeed, the Christian sacrifice is qualitatively different than the Jewish one. And while much of Christianity is is continuous with Second-Temple Judaism, the requirement for recurrent animal sacrifices is not one of them. I did enough to complete my task when I proved from all the prophets that any such observance of ritual outside Jerusalem is a transgression of the Law and sacrilege. But they never stop whispering in everybody’s ear and bragging that they will get their city back again. Chrysostom is on much stronger ground on another area: a firm rejection of both “works of the law” and “faith as a mental state only.” Certain passages read like they could be directly lifted from Reformation-era writers. For their is one defense left to sinners after they have sinned: to confess their sins. Your good deeds will not only bring praise to you but also rapid release from your sickness. The nobility of your choice will win God to even greater good will; all the saints will rejoice at what you have done; they will pray for you from the bottom of their hearts. The solution of course is that faith and faithfulness were not distinguished in Greek. Indeed, Chrysostom specifically preaches on the parable of the three servants to make that point. In this parable, a rich man gave us servants money to spend or invest. A foolish servant, who did not try to make any profit, was condemned by the rich man. Like Paul in The Letter to the Romans, Chrysostom believes that laboring for Christ is categorically distinct from “works of the Law,” a legalistic interpretation of the Torah aimed at maintaining a distinctive Jewish ethnic identity as a matter of religion. The Greek word translated as “faith” or “believe” in English, ” pistis, also means “faithfulness” or “allegiance.” For instance, a venture capitalist who provides start-up capital to a new company would call that company’s director “faithful” if he can turn a profit on the money. Both the Apostle Paul and Archbishop Chrysostom assumed what Reformation-era debaters on both side did not realize: the emotionally charged argument over “faith” from the beginning of the modern era was not a question of belief or works, but of whether a divine Rule of Law would save one from a Divine Judge. As in Samuel or Solomon, the answer was obviously not. John Chrysostom, who also wrote in Greek, displayed the same unity of understanding about faith. And I say to you what Paul said to the Galatians: “Become like me, because I also have become like you.” What does this mean? He was urging them to renounce circumcision, to scorn the Sabbath, the feast days, and all the other observances of the Law. Moreover, the first thing I have to say to the Judaizers is that nothing is worse than contentiousness and fighting, than tearing the Church asunder and rending into many parts the robe which the robbers did not dare to rip. Fasting at tiffs or that time is not a matter for blame. But to rend asunder the Church, to be ready for rivalry, to create dissension, to rob oneself continuously of the benefits of religious meetings — these are unpardonable, these do demand an account, these do deserve serious punishment. So let me finish my discourse at this point, and let us all pray together that our brothers come back to us. Let us pray that they cling fondly to peace and stand apart from untimely rivalry. Like the money in that parable, good works can produce interest beyond their initial investment. If somebody else does what you did, you will carry off the reward because it was you who gave him his start, it is you whom he emulated. Why are you a Christian? 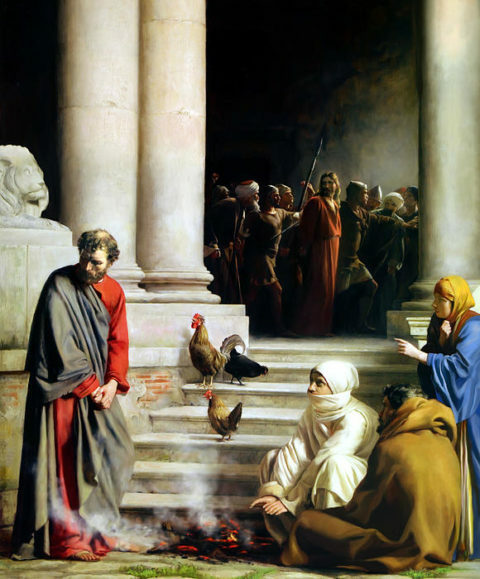 Is it not that you may imitate Christ and obey his Laws? What did Christ do? He did not sit in Jerusalem and call the sick to come ot him. he went around to cities and towns and cured sickness of both body and soul. No fasting, no sleeping on the ground, no watching and praying all night, nor anything else can do as much for you as saving your brother can accomplish. Augustine and Chrysostom go by different ways to build empathy. Augustine’s methods are self-centered — you learn about his childhood, his parents, his job, his friends. Reading Confessions feels like meeting a new friend. The Catholic Church’s strong history of protecting Jews as an intellectual community doubtless owes a lot to Augustine’s personal struggle. It’s one thing ot say that serious interpretation of the Old Testament is necessary to understand Christianity — its another to see a Doctor of the Church reject Christianity as incoherent until Jewish hermenutics are introduced to him! A human being is worth more than the whole world. Heaven and earth and sea and sun and stars were made for his sake. ‘I have committed a sin too great for pardon, defense, or forgiveness; if it is your will to punish my crime, I shall lie exposed to every harm because your helping hand has abandoned me.’ And what did God do then? He said ‘Not so! Whoever kills Cain shall be punished sevenfold!… For the number seven in the Scriptures means an indefinitely large number.. This focus on pastoral service to individual sinners would largely be lost in the west until it was revived by the Friars. I wonder if this remained in the East and, if so, if its loss in the west was a result of Augustine’s autobiographical (and thus, self-centric) style). Chrysostom also is aware he is speaking to multiple audiences simultaneously. For instance, as Patriarch of Constantinople he has priests reporting to him. But as the foremost pastor of Constantinople he is also responsible for the souls of the common people. And as a literary figure his words would be read for centuries. Mothers who love their children also do this: when their children cry, they often threaten to throw them to the jaws of wolves. Of course, they would not throw them to the wolves but they say they will to stop the children from bothering them. Everything Christ did was done to keep us bound together and living at peace with one another. If you pour out many words and do everything in your power and still see that he refuses to heed you, then bring him to the priest. By the help of God’s grace the priests will surely overcome their quary. But it will all be your doing, because it was you who took his hand and led him to us. We are citizens of a city above in heaven, where there are no months, no sun, no moon, no circle of seasons. Chrysostom is extrapolating on a passage in The Revelation to John. Now, a lot is going on in this question. St. Thomas Aquinas spends considerable time on it in Summa Theologica. But that the sun is simply a lamp, and in bright places there is no need for it, is hard to agree with. Bright artificial lights can even now evenly illuminate indoor rooms more usefully than the sun. It does not mean the sun is not our Brother, or that we are not happy to be with him. …seemed arbitrary, until I read the whole chapter, and saw “your people” and “your city” parralleled Daniel’s prayer to God. “O Lord, according to all Your righteousness, I pray, let Your anger and Your fury be turned away from Your city Jerusalem, Your holy mountain; because for our sins, and for the iniquities of our fathers, Jerusalem and Your people are a reproach to all those around us. In this context, Gabriel is literally repeating the phrase, but turning its meaning around. I feel like I did the first time I realized cities could be not just holy, but sacred. I don’t agree with Chrysostom’s inteprtation, but he translates correctly and is striking in his explanation. As the Scriptures are composed of many genre, this means that sometimes that each hermeneutical approach is acceptable at times. The Book of Jonah reads like a comedy, if not a satire, and an allegorical explanation is only natural. Augustine’s attempts to explain away the miracles of the Gospels, though, perhaps are less admirable. Unsurprisingly, there are several methods of interpretation which are missing entirely. There are no references to literary genres of the Bible. Temple literature, Canaanite mythology, Second Temple literature are absent from Chrysostom’s methods. In Biblical times, a “covenant” was an instrument of surrender” dictated by the triumphant power to the weaker power, demanding allegiance in exchange for grace and justification. Contemporary Jews believe there are two operative Covenants in the Hebrew Bible — the Mosaic Covenant and the older Noahide Covenant through which God justifies the gentiles. Many Christians argue the complement, that the Mosaic Covenant is itself complemented by the new and everlasting covenant. Numerous other covenants, both secular and religious, can be identified. But Chrysostom and Dumbrell make almost opposite errors. Dumbrell insists there is only one covenant. Chrysostom states that while there were old, they have been abrogated and only the new is operational. Previously saying, “Sacrifice and offering, burnt offerings, and offerings for sin You did not desire, nor had pleasure in them” (which are offered according to the law), then He said, “Behold, I have come to do Your will, O God.” He takes away the first that He may establish the second. By that will we have been sanctified through the offering of the body of Jesus Christ once for all. Dumbrell goes to the other extreme, arguing there is only one covenant in the entire Bible. If you approach the altar on the very day of the Sabbath and your conscience be bad, you fail to share in the mysteries and you leave without celebrating the Pasch. But if you wash away your sins and share in the mysteries today, you do celebrate the Pasch in precisely the proper way. For indeed, I know that most of the crowd that is drawn to go there is composed of women. Now then, the blessed Paul says, “husbands, love your wives”; and again, “The wife should fear her husband.” But I am seeing neither wives’ fear nor husbands’ love. But now that the devil summons your wives to the feast of the Trumpets and the turn a ready ear to this call, you do not restrain the, You let them entangle themselves in accusations of ungodliness, you let them be dragged off into licentious ways. For as a rule, it is the harlots, the effeminates, and the whole chorus from the the theater who rush to that festival. Having once attended a Messianic Synagogue with a friend, these strengths of Judaeo-Christian festivals can still be seen. 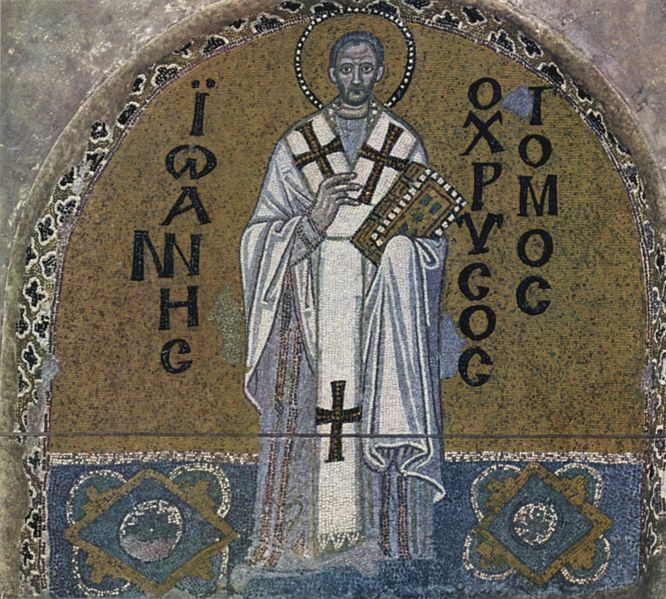 In the Eastern Churches, John Chrysostom is still credited with having created the contemporary Orthodox Liturgy. The Orthodox Style, with its beauty and ritual, may owe much to Chrysostom’s need to compete with what we would now call a form of Messianic Judaism. John Chrysostom’s Eight Homilies Against the Jews is a complex book. 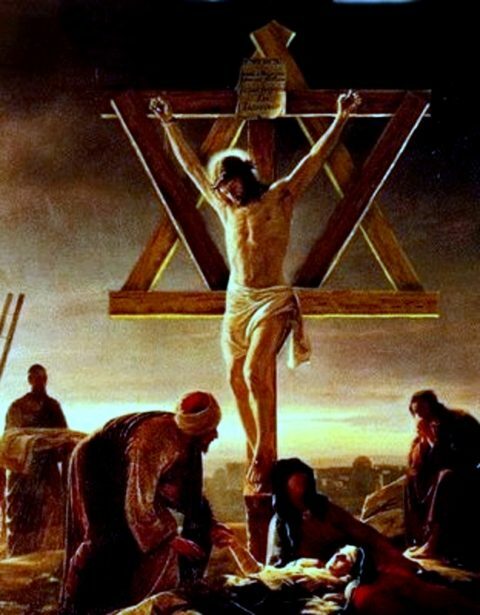 The repeated claim, that the Jews are to blame for the death of Christ, has been explicitly rejected since the Counter-Reformation by the Catholic Church. Perhaps the greatest Greek-speaking Christian intellectual since Paul, Chrysostom’s focus on face, grace, and imitation of Christ help us under salvation by allegiance to Christ, and not the Law. He humanize the Gospel, focusing on God’s love for the sinner and our need to care for each other. He provides a straight-forward, but not literal, interpretation of the scriptures that is a good complement to Augustine’s methods. And of course, he is the father of the Orthodoxy Liturgy. 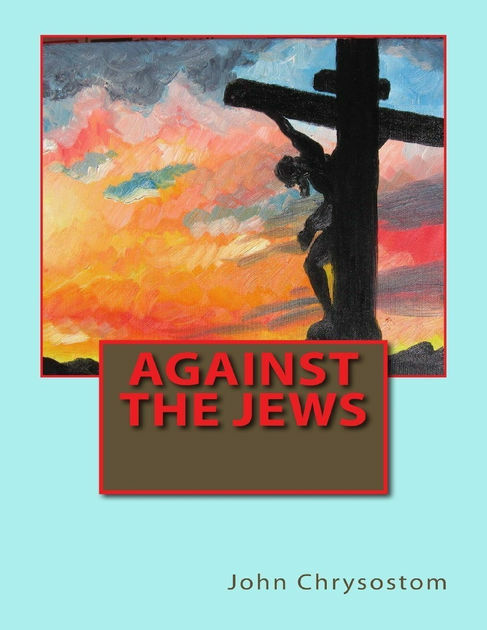 I read Eight Homilies Against the Jews in the Kindle edition.